University of Buea Cameroon – UB (Ubuea) Université de Buéa Cameroun. It is located in the historic town of Buea, former capital of German Kamerun, former capital of the federated State of West Cameroon and now the provincial capital of the South West Region of Cameroon. Although the University draws its students mainly from the English-speaking part of Cameroon, it also serves the other provinces of the country. 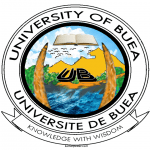 University of Buea Online registration Procedure for Admission Application. University of Buea Semester Results checking procedure. University of Buea List of Concours or Entrance Examinations. The mission of the University of Buea Cameroon is to provide opportunities for quality education through teaching and research in an environment that is conducive to such pursuits and in ways that respond to market forces. University of Buea Cameroon Admission. The GCE O/L, with passes in five approved subjects including English Language prior to sitting the GCE A/L. I am a Nigerian trying to apply to UBUEA for a PhD programme. 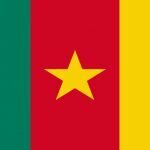 How do I get an equivalent of my certificate from the Ministry of Higher education Cameroon? I wish to do MBA program in project mmanagement this academic year 2016/2017 what are the requirements for registration ? And when do registration end?